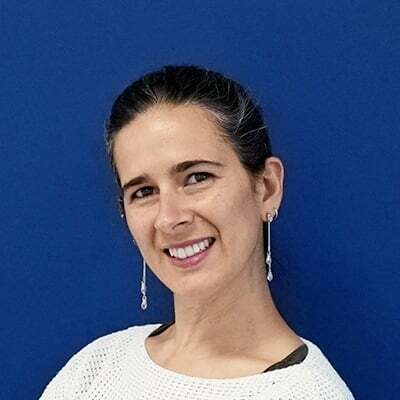 The webinar Learning Technology Doesn't Replace Human Capability – It Augments It is sponsored by eLearning Industry and presented by Lucia Pagani, Data scientist at Docebo. In this webinar, Lucia Pagani will uncover the insights you need to understand the intersect between AI-powered learning technology and the augmentation of the humans that interact with it. Lucia Pagani is a Data scientist at Docebo. Based in the company's Biassono, Italy, she has a great passion for designing algorithms for data mining, data modeling, data analysis, and visualization. In her role as a Data Scientist at Docebo, she researches, designs, and implements a variety of Artificial Intelligence and Machine Learning algorithms for the Docebo Learning Platform, including recommendation systems, automatic video generation, and competency suggestion. Beyond the misperceptions and jargon-filled articles about Artificial Intelligence-powered systems replacing human employees in various roles, the best results to date about this new and exciting technology have been achieved not by man or machine independently, but instead in tandem. This reality is no truer than in enterprise learning, in which AI systems are designed to augment the learning platform experience for both administrators and end users. For administrators, that means the automation of menial, time-consuming tasks so they can spend more time on tasks of higher value such as strategic L&D initiative and developing content. Meanwhile, learners enjoy more personalized and immersive experiences that produce better learning outcomes, driven by insights that develop a wider understanding of learner behaviour and lead to predictive capacities. Using those insights, organizations and the administrators charged with leading the L&D charge, intelligent and smarter positioned content can be created, which is adaptive, intuitive, and responsive to a learner’s personal journey. As a result, AI will transform how learning content is delivered and foster retention, leading to greater alignment with business values, while augmenting the capabilities of the humans it interacts with. AI might be still finding its roots in the realm of enterprise learning, but the reality is that AI brings real smarts to L&D in a way that elevates it from a tool that not only makes your workforce better, but turns L&D into your organization’s competitive advantage. Join Docebo's Lucia Pagani, Data Scientist for this webinar presentation to uncover the insights you need to understand the intersect between AI-powered learning technology and the augmentation of the humans that interact with it. How AI-powered learning augments the administrator and end-user experiences to gather valuable, data-driven insights that produce positive and more effective learning outcomes, sooner. What AI is in the context of learning and why learning-specific algorithms are key to significantly enhancing the benefits of your learning programs. How AI technologies are being used today in learning and development and how to get started – without becoming a data scientist. Beyond the misperceptions and jargon-filled articles about AI replacing humans in the workplace, the technology's biggest successes to date have not been achieved by man or machine independently, but instead in tandem.